Britons are braced for a bone-chilling start to the day today as they celebrate Mothering Sunday. 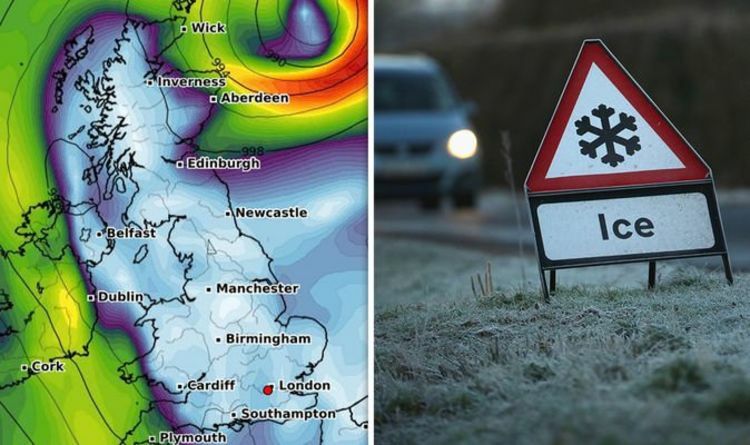 There will be a widespread frost in the north of the nation, the Met Office has warned. The outlook for the rest of the day will be dominated by cloud in the south and smatterings of showers in the north, the Met Office said. The weather expert added: “It is a much cloudier picture across the south compared to recent days. Temperatures will fall to between 9 and 12 degrees Celsius, generally, Ms Mitchell advised, with highs of 14 degrees Celsius in the far south west. Sunday evening will remain “largely dry for most of us” according to Ms Mitchell who warned showers would continue “across the far north of Scotland”. The weather expert explained “overall” Sunday night will be “quiet” with temperatures “falling away again”. She said: “Come Monday morning it should be a chilly one. “A patch of frost out there as well. Next week will be “cooler”, “changeable” with “frost and ice” according to the Met Office.